Have you ever wanted to perform a regression test on a library you have created? Model Management, an optional library available in Dymola, could provide the solution. This article will highlight the key features of the Model Management library for checking your library. Perform regression testing of the test cases in your library, to identify unintended changes to model behaviour. This is done by comparing the possible continuous and discrete state variables in the current results to the reference results supplied. Generate the reference result files required for the regression test, by simulating the test cases and storing the result files. 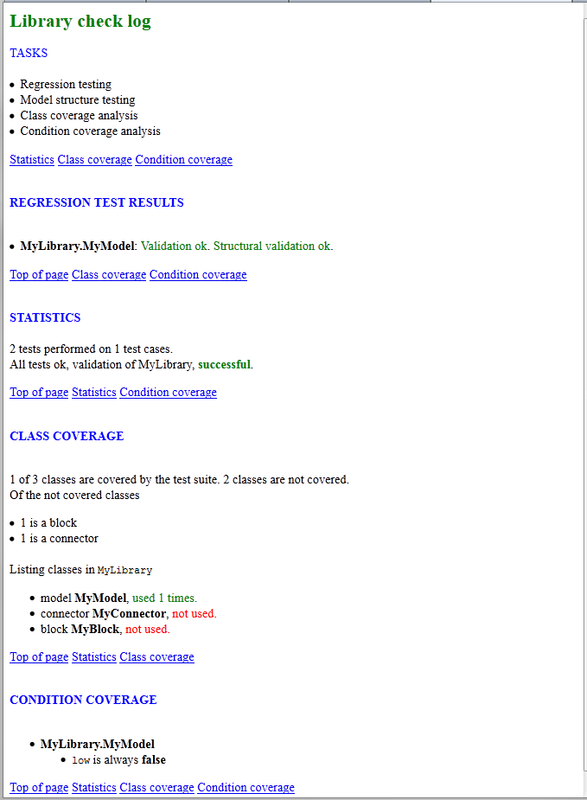 Perform class coverage analysis, to identify classes in your library which are not included in any test case. Perform condition coverage analysis, to identify conditions which have not been both true and false in the test cases. 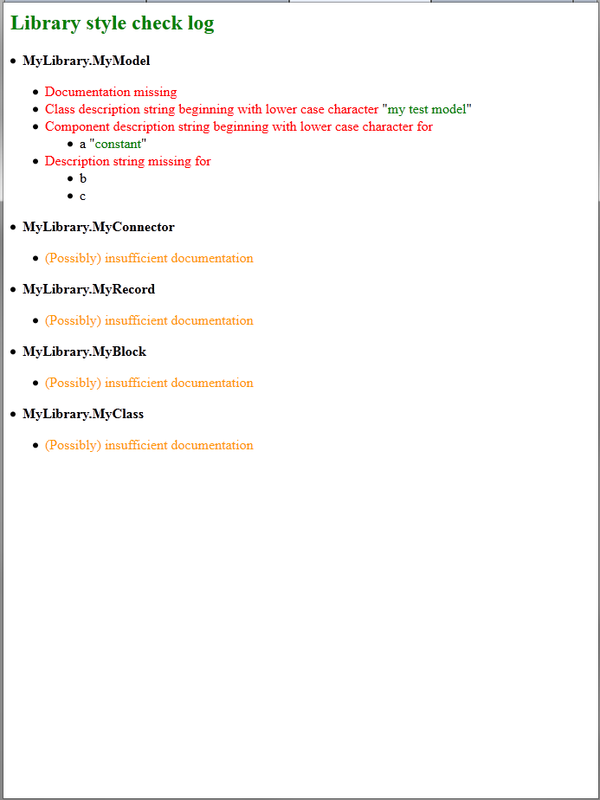 Check the style of the library, to identify model documentation which does not follow the style guide, i.e. missing description strings and documentation, bad names etc. Once the check is complete, the results will be reported in html files stored in your current working directory. If you perform a style check, these results are stored in a second html file. 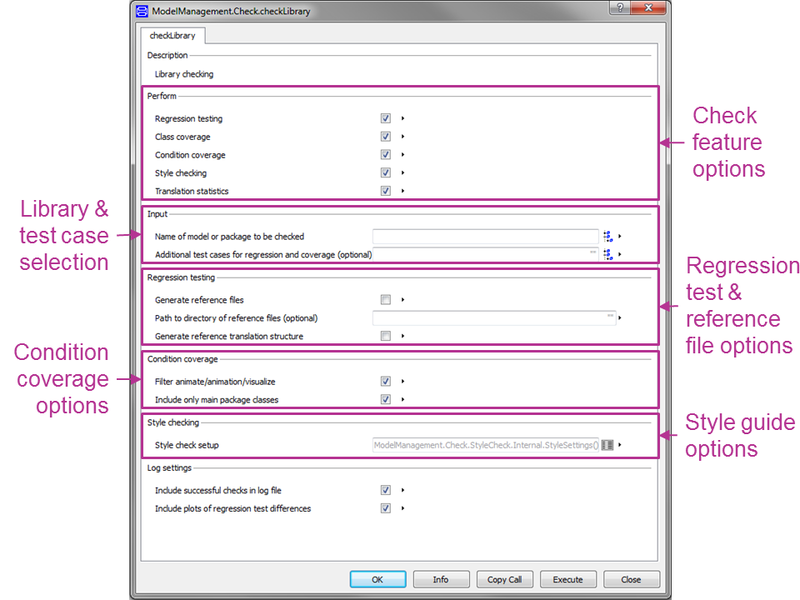 Examples of the reports are given below, based on the example included in the Model Management library. 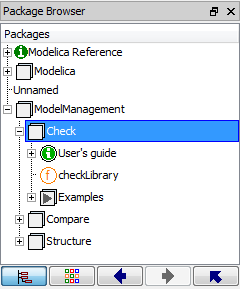 For a step-by-step guide on using the features of the Model Management library see the library documentation.